This post includes several tactics we are using to teach our preschooler about money. These tactics are not new or groundbreaking, though already seem to be having a small impact after only a few months. I could go on about the benefits of financial literacy in general. It needs to be taught more in schools. And if schools aren’t going to make it a priority, then it’s up to us parents to ensure our kids grow up to be smart with money. Our children will likely grow up much better off than me or my wife when we were younger. With all the positives that come with their situation, there are some negatives as well such as a lack of appreciation and entitlement. I want to give my kids a great life, but don’t want to spoil them. That’s why we’re trying to get an early start to teach financial literacy in our house. The following are a few examples of how we’re teaching our three year old about money. A few months ago we started paying our three year old a commission of five dollars per week to complete four chores every day. The chores include making his bed, feeding the cats, picking up his toys in the living room, and cleaning his room. Every day that he doesn’t complete a chore he is supposed to lose one dollar. We aren’t as hard nosed with this approach as it sounds. There are plenty of days where we help him with his chores or look the other way if his room isn’t perfect. There are other days where we ask him to feed the cats and if he refuses we end up taking a dollar away. Overall, I’d say he completes his chores on his own about 60 to 70 percent of the time, which is pretty good for a three year old. The point isn’t to strictly enforce the process at this point. It’s more to help him make the connection between doing work and making money. 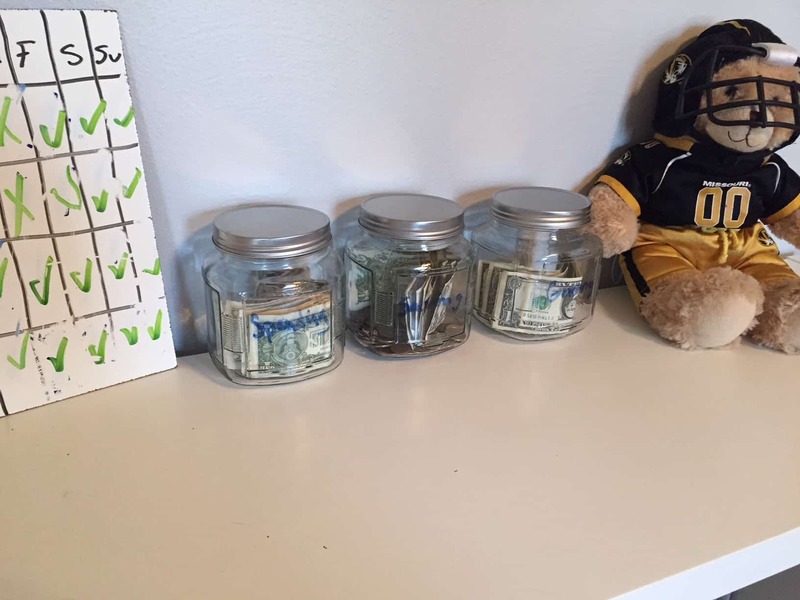 At the end of each week he puts $3 in the spending jar, $1 in the saving jar, and $1 in the giving jar. The jars are made of clear plastic so he can see the money adding up. We haven’t spent any of the money in his jars yet, though with garage sale season coming up he’ll be taking a few dollars out to buy what he wants. Late last year we emptied out our son’s piggy bank for the first time. To our surprise he had collected almost $200. Most of the money was from birthday and Christmas gifts from the previous three years. He usually gets toys from family for birthdays and Christmas. Every once in a while someone has given him a $10 or $20 bill that went in his piggy bank. We ended purchasing two individual stocks via the Robinhood app with his savings. This wasn’t his decision, but he also didn’t push back against the decision. Honestly, I’m not sure he knew exactly what we were talking about. The Robinhood app was surprisingly easy to set up, and even easier to purchase the individual stocks. There are no fees to use the Robinhood app either. The two stocks we ended up purchasing were Berkshire Hathaway (class B shares) and Under Armor. I don’t think he is anywhere near ready to fully grasp the concept of stocks. However, I do sometimes make comments such as, “you are a part owner of Under Armor”. In time hopefully these comments will start to make more sense allowing him to make the connection between every day products and the stock market. Going forward we will use his money from the saving jar to purchase additional individual stocks. We may even roll the dice with small cap or penny stocks since we’ll likely be throwing less than $50 at new stocks. While I am personally more of an index fund investor, it would be more challenging to get him excited about investing in something like VTSAX (Vanguard’s total stock market index fund). As he shows interest in products or services I will ask him if he’d like to be a part owner in X company. Again, I don’t expect him to fully make the connection at his age but in time hopefully it makes sense. We experienced a cool moment last weekend. We were at our Aunt’s house and had completed an Easter egg hunt earlier in the day. Our son ended up with six or seven quarters that he planned to bring home for his jars. Instead, he decided to donate his shiny new quarters to a better cause. Our Aunt goes on mission trips to Uganda every few years and showed him a small piggy bank. She explained that the money would be used to buy food for children in Uganda who are hungry. I was so proud as we watched him put his quarters in the piggy bank without being asked. He wanted to give his money so the children had food to eat. I’m not sure if his action was the result of some of the things we’ve been teaching him. After all, we’ve only being doing this for a few months. However, it was a positive sign that even at a young age he understands that not everyone is as well off as we are. We will continue to do our best so our kids grow up to be generous and give back to those less fortunate. I’m hoping that by being intentional we can ensure our children are financially literate when they grow up. We still have a long way to go in this parenting thing, and every stage so far has had challenges. I know it gets more complex once they begin approaching the teenage years. Regardless, all we can do as parents is our best and hope that we can raise money smart kids who aren’t spoiled little brats! How are you teaching your children, nieces/nephews, or students about money? Below are a few blogs, podcasts, or other content that I have recently enjoyed. You should check them out as well. Congrats to Angela at Tread Lightly, Retire Early for making her podcast debut last week. She was interviewed on the Fire Drill and Countdown to FI podcasts. Angela has a great story and even better attitude about her pursuit of financial independence. She regularly shares great frugal and lifestyle tips on her blog. Blog posts about giving are often my favorite. I especially enjoyed this recent post by Zencents titled It’s Time to Triple My Charitable Giving (Again). I was especially surprised to learn that the lower income population (less than $50,000) tend to give a higher percentage of their income to charity compared to higher income groups. I’m not sure how he did it, but the Finance Stoic landed an interview with the great Marcus Aurelius. Don’t believe me? Check out his post titled Marcus Aurelius on Fire. 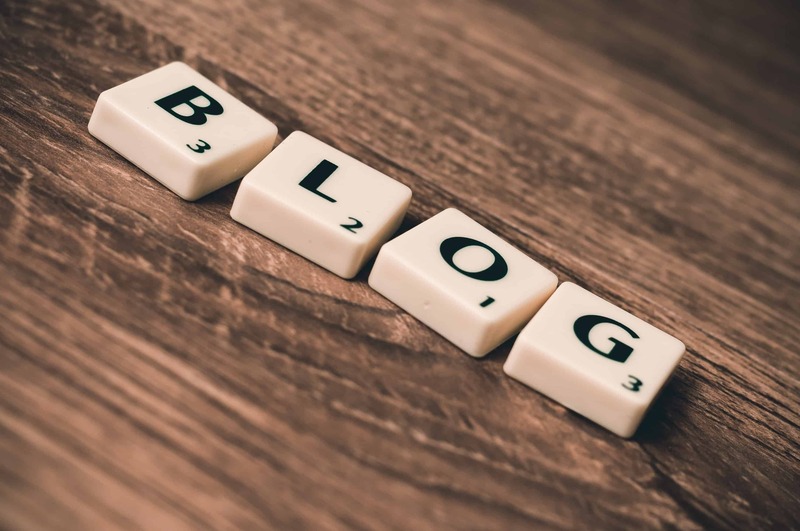 Additional topics you may find on the Finance Stoic’s blog include mindfulness, meditation, Stoicism, self-improvement, and leadership. Next Three Funerals in Eight Days: Why Don’t We Live Life to the Fullest? I loved reading this! I especially enjoyed your anecdote on giving. It is amazing how much they learn from us, isn’t it? Congratulations on already raising a financially wise child who has empathy and compassion. Congratulations on the new baby by the way. How is your toddler adjusting to having a sibling? I forgot to mention, that I also enjoyed reading about applying your son’s savings to the purchase of stocks as an opportunity to learn about investing. We haven’t been doing that with gifted money with our 2 year old, but have actually opened up a 529 college savings account and use overflow money such as that from birthdays to put towards college savings. My husband and I save with a Coverdell ESA for her and max it out every year since the month she was born, but overflow from gifted money has been going into a 529 plan, and hopefully in another year we can do as you have and start explaining her “investments” to her! You are most definitely leaving behind a legacy already with your child and it is just the coolest thing. You know, I completely forgot to mention that we also have a 529 account for our 3 year old. We don’t even talk about that account since the money comes right out of my check into that account. Sounds like another opportunity to talk to him about money! Big brother is adjusting well to his new little sister, who joined us last month. I was worried about him being jealous of missing some attention. So far he’s a mix of loving and completely disinterested. Usually more of the latter. It sounds like you are doing a great job as well. Keep up the good work! First, thank you for the mention. I am so pleased you took something away from my post. That is quite meaningful to me. Second, I am amazed by your awesome setup with your son! Everything you are doing sounds great and I’m amazed – again – by how well he appears to be absorbing it. I think those are some fantastic ideas I can share with my nieces. Great lessons! These early lessons will last a lifetime. My three children are now aged 19,19, and 16. We got a little later start with them teaching them about money, they were 11,11, and 8 when we first started. We involved them in our budget discussion, included what we made, monthly bills, etc. I found it was easiest to talk money with them when I incorporated a topic they were interested in. Ice cream and smart phones were good ones. Asking them if they want to grow up to be millionaires is a good conversation started too. 🙂 Continued success teaching your little one! These are great tips. I’m making mental notes for when my little ones are older. Teaching kids about money is so important! Best of luck! Thanks for reading. I’ll check that out. We are going to use his saving jar as his investment bucket as well. The idea of separating the two is interesting though! This is awesome! Such an easy concept and sounds simple enough to do with any young child. Kudos to your kid for giving the money away… that had to be fun to see. Thanks! We were surprised by his generosity as well. He is pretty good with sharing but I don’t recall him ever going out of the way to give. Hopefully he keeps it up as he grows up! WOW I really admire youi for teaching your child about money so early. I havent started to teach my 5 year old and I worry I have waited too long as she’s in the give me give me stage! No way, you have plenty of time! Most people never learn about money at all so whenever you decide to get started is going to put her ahead of most people. The jars are a great visual for young children. He seems to really be grasping the idea. I don’t think he at all understands stocks yet, though it doesn’t start to being introducing the concept. If you start introducing any of these concepts with your kids please let me know how it goes!! We have a five year old and started giving him an allowance on his fourth birthday. We don’t tie it to chores (because I never want him able to say “I don’t need money this week, so I’m not doing my chores.”) however he is expected to do chores as a productive member of the family. The allowance we give him is half his age in quarters so he got 8 quarters last year and gets 10 quarters this year. He has a piggy bank with four slots: save, spend, donate, invest. He is required to put one quarter in each slot and put one in the donation plate at church. He can choose what to do with the rest of them. Typically he tends to put a second one in each slot to keep things even and that last one goes in wherever he feels like it that week. He can also earn extra money by doing one-off chores. With his donate money we have purchased the premade bags of food at the grocery store for Second Harvest. Whenever his save money gets up to $10 we add 10% interest (for a total of $11) and it goes into his savings account at our credit union. His spend money gets spent regularly on toys. And his invest money continues to grow and grow. Although I do change it from quarters to bills semi-regularly so that I have more quarters for allowance time and we can fit more in. I’m hoping around Halloween I can tie in pieces from Montana Money Adventures lesson on the stock market (https://www.montanamoneyadventures.com/raising-wealthy-kids-stocks-index-funds-and-halloween-candy/) and we can actually start him with a portfolio. Thanks so much for this thoughtful post. You are doing great! I definitely didn’t come up with these ideas on my own, but it’s great to see how my little one is already kind of getting some of the concepts. Still a long way to go! I know this post is from last year, but I really enjoyed it. I want to do a better job in teaching my girls how to use money wisely, but I’m at a lost in how to do it. We give our girls a monthly allowance, and I try to talk about basic principles with them. But I think I need to be more intentional about this as they are getting older (11 and 7). Have you read any great books about teaching kids how to be smart with finances? A few years ago I read a book by Rachel Cruze (Dave Ramsey’s daughter) titled “Smart Money, Smart Kids”. I also had the opportunity to meet some great folks at FinCon last year focused on Financial Literacy for kids. Check out Paul Vassey at cashcrunchgames.com and Bill Dwight at famzoo.com. Both have outstanding resources to help parents teach their kids about money. Thanks for the recommendations. I just got Smart Money, Smart Kids on audio book and we are going to start listening later this week. I’ll look into the other resources you listed. Keep up the great work. You are an inspiration to me, and I feel like I can learn a ton from your wisdom. I like how you talk about starting to teach children about the value of money as young as possible since this would allow them to be able to understand that money is worth a certain value, and that the importance of saving money would be a good thing for them in the long run. Another thing I like is that there is positive reinforcement when it comes to teaching this to younger children, as they are rather impressionable and would learn from the best, in order to see that what they’re doing is right. Now, this hasn’t crossed my mind but now that you mention it, it’s a good idea to start teaching them early on how to value their money so that they have a good sense of saving when they’re much older. Massive respect to you for doing this! I love how he asks to “see the numbers” on your phone! How funny. I obviously think it’s OK if he’s not interested in stocks yet… you’ll get there. It took me until 26. Even with my delayed interest – like you – we are under the impression our son will grow up with better financial circumstances than my husband and I ever had. We want him to understand that privilege (and like you), put an emphasis on the giving of both time and money.